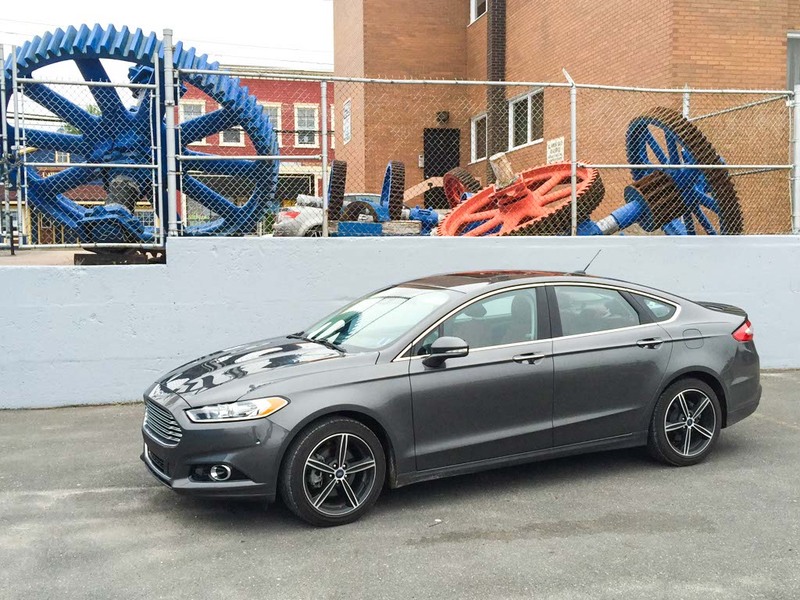 I’m in eastern Canada visiting family and I was lucky enough to score a Ford Fusion to test drive while I’m here. 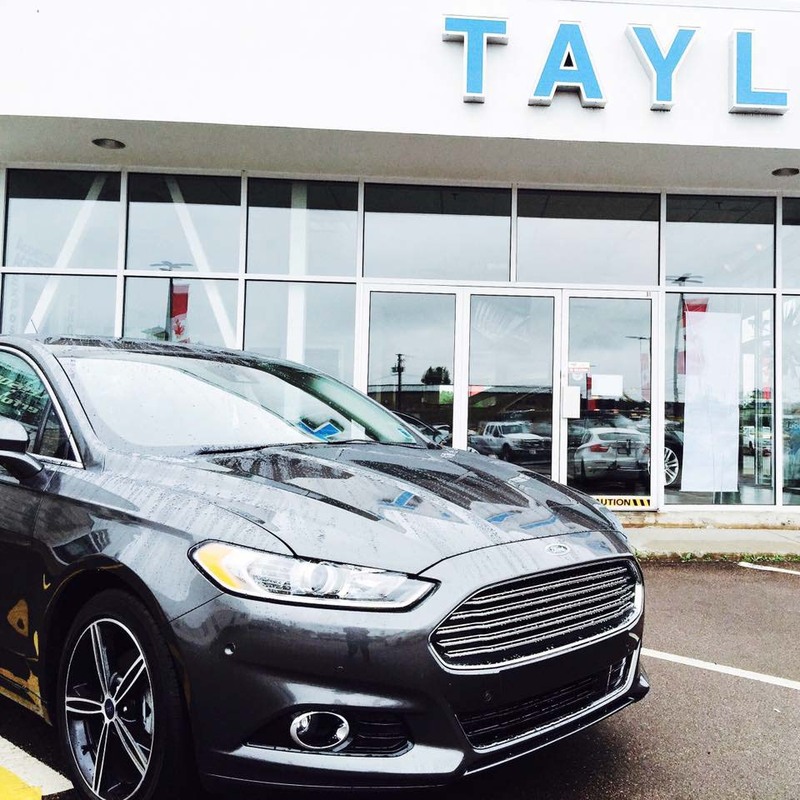 In cooperation with Ford Canada and Taylor Ford of Moncton, I’m driving a 2015 Ford Fusion and it’s one sweet ride. The best features for us include duel zone climate control, adaptive cruise control, and active park assist. 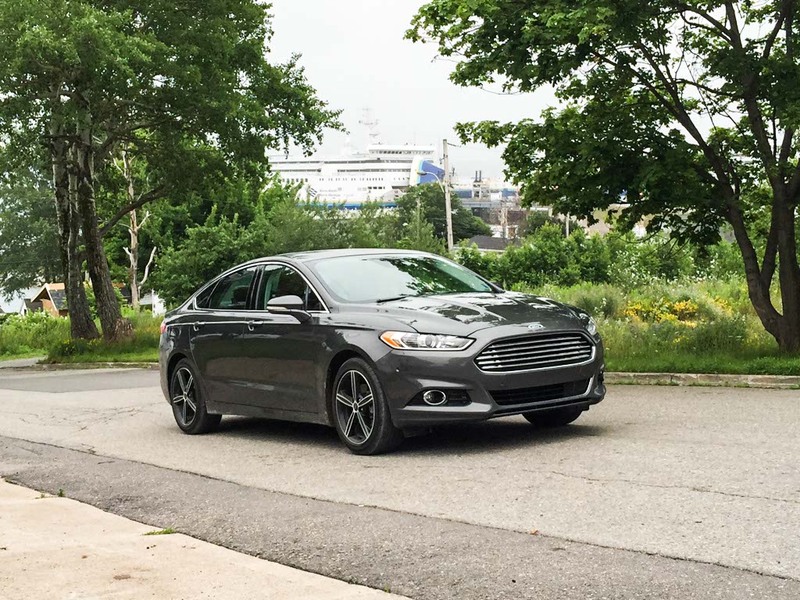 The four hour drive from Darren’s home in Moncton, New Brunswick to my home in Cape Breton, Nova Scotia was easier and more fun because of the unique features of the Ford Fusion. I love my mini van, but it’s definitely missing a few drive-changing features. We picked up the car from Taylor Ford and the sales manager showed us too many cool features to remember, but he gave us a quick reference guide to support us along the way. He also demonstrated the park assist and linked my phone to the navigation system. It was like getting a personal assistant with the car. Even after flying over night and taking several flights, I was beaming with excitement to starting driving my new car. 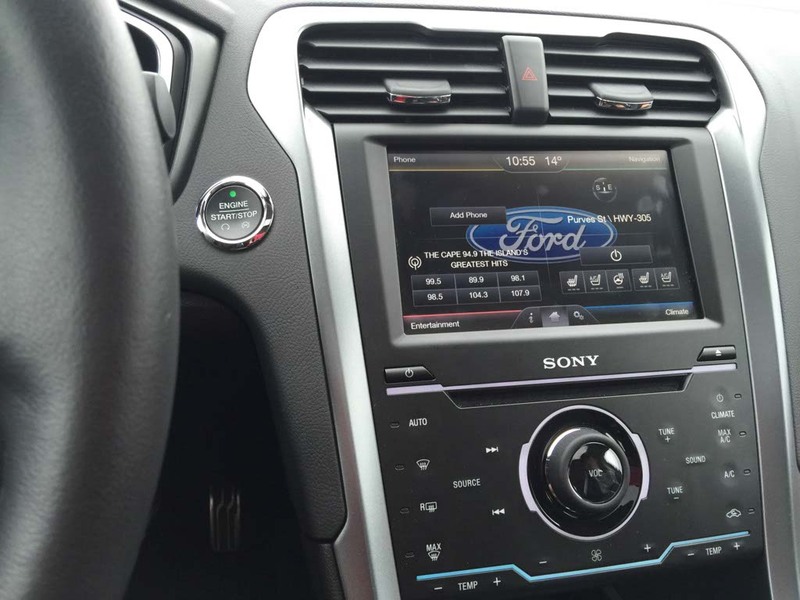 The Four-corner Touchscreen system in the car includes phone, navigation, climate, and entertainment. Once my phone was added, I called my grandparents to let them know I was in the country and on my way. It was hands-free and I didn’t even need to know the phone number. I just said, “Call Grandma” and it found her in my contacts and made the call. Luckily, we didn’t need to use the navigation system because I will always remember my way home, but we did play with the climate controls to find the perfect temperature for each of us. It was helpful because Darren is always hot and I’m always cold, especially in the damp weather we’ve been getting in eastern Canada. We enjoyed the entertainment system as well. We went between AM, FM SiriusXM and the music on my phone since it was already synced. My favorite feature is the Adaptive Cruise Control. While driving on the highway, it automatically adjusted my speed to maintain a set distance between my vehicle and the vehicle in front of me in the same lane. If I was approaching a vehicle from behind, I didn’t need to put my foot on the brake and readjust the speed. I just let the car do its thing and it adjusted for me. Then, when I entered the passing lane it gradually returned to my previously set speed. I don’t know why this feature isn’t in every vehicle. It makes a huge difference when you’re driving in eastern Canada. There aren’t usually hundreds of other cars around where you’re adjusting your speed all the time but it’s super annoying when you have to reset your cruise control regularly or when you’re approaching a vehicle and it’s going just a few km under your set speed. I usually turn cruise control off completely when there are a few other cars around. Adaptive Cruise Control eliminates that stress completely. My second favorite feature is the Active Park Assist. Whenever I approach an available parallel parking space, the active park assist system can detect the space and automatically steer the vehicle into that space (hands-free). I’m a good driver. I’ve never had a driving violation or even a parking ticket, but if a car is capable of parking itself in a tight space, I’m definitely going take advantage of it. The weather has been crappy since we arrived. We’re not in sunny SoCal anymore, but I love driving around and showing Darren the places of my childhood. I’m at home and Ford Canada took us there safely. 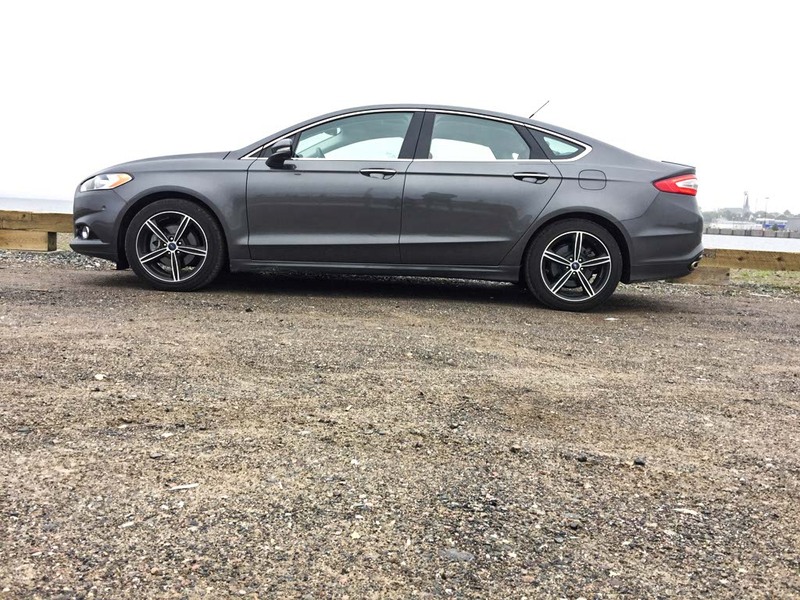 This entry was posted in Canada, Cape Breton and tagged Canada, Ford, Ford Canada, Ford Fusion, Test Drive, travel by lesleycarter. Bookmark the permalink. The Ford motto is Ford go Further, and I can attest to that. I bought a new Ford, and drove it, without any faults, right round until the mileage reading went back to zero. Sounds like a great car. Next time we’re thinking of getting a new one, I’ll keep this in mind. I like Fords. Thy’re beautiful. I’ll have to look at those when we’re ready to buy a new vehicle. I love the Ford Fusion! My husband has a 2013. He drives for Uber sometimes and riders love it too. Am about to travel to eastern Canada myself, Lesley. Currently in Iceland but flying to Halifax tomorrow. I went to university in Halifax. It’s a beautiful city and a great time to visit. The waterfront will be packed with people and fun things to do this time of year. Where will you be visiting while you’re here? We’re going to the Maritime Museum then spending a day in the surrounding countryside (not sure where) and then moving on to Prince Edward Island. We will take a look at the Halifax waterfront certainly.